Achieving Excellence in Every Aspect of Our Business. Ventas, Inc. (NYSE: VTR), an S&P 500 company, is a leading real estate investment trust (REIT), with a highly diversified portfolio in the US and Canada. Our balanced portfolio of high-quality assets is diversified across all key measures. Approximately 84% of our revenues are derived from private pay, non-government sources. 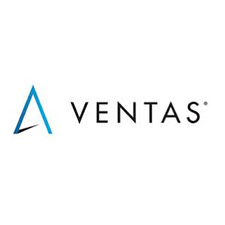 Ventas has delivered consistent, superior long-term returns to shareholders for more than a decade, outperforming both the S&P 500 and the MSCI US REIT Index, while providing compound annual dividend growth of 10%. Our leadership team is committed to building on our legacy of excellence that shareholders and customers have come to expect.